In our 70 years of civil contracting service, the B&B Contracting Group has successfully completed over 3,100 projects. The testimonials below demonstrate the high level of satisfaction we provide to our valued clients. ‘‘We have tremendous confidence in leaving our Civil projects in the hands of B&B Contracting as a leader in helping to create that project. Working alongside B&B has been an excellent partnership. They are a contractor that truly understands the value of construction experience and commitment to craft. This experience has created a dedication to excellence that is unmatched. ‘‘B&B Contracting has provided excellent workmanship on the civil components for a number of large-scale development projects for Adera. Their attention to detail and ability to schedule work in an efficient manner have enabled our team to regularly meet important milestones every step of the way throughout the construction process. ‘‘We have been working with B&B Contracting for close to 20 years. B&B Contracting has continuously provided us with consistent, timely, high-quality service. In the past five years, B&B has completed numerous subdivision projects for Morningstar Homes, totaling over 400 single-family lots across several municipalities. ‘‘As we knew it was going to be a challenging site, B&B was our contractor of choice in the bidding process. We have worked with B&B Contracting for many years and over many projects and we continue to go back to them. Their attitude has always been positive and they respond to issues that may arise very promptly. ‘‘We have had the pleasure of working with B&B Contracting on a number of our projects. All of the management and staff are very well experienced and professional. They are fast, efficient and organized. They get the job done and done right. I would have no hesitation in recommending B&B to anyone. We would not hesitate to recommend them to any client that is in need of their services. ‘‘The project was managed well by B&B and they ensured minimal impact to the public. In view of the sensitive nature of this construction project, through numerous private properties and backyards of residential properties, we would rank B&B's performance as excellent. We would recommend B&B for a similar, large diameter sanitary sewer project. — Andrew M. Baker, P.Eng. ‘‘B&B has provided first class workmanship for their portion of the project. B&B have worked diligently to maintain a safe site for the public and other workers. Their traffic management plan has been most effective in maintaining safe and effective traffic flow through the site. SNC Lavalin Constructors (Pacific) Inc.
‘‘I have no hesitation in recommending B&B Contracting for future projects. I would like to take this opportunity to express my appreciation for the fine work that your company did for the District. Your attention to detail and scheduling was exemplary. The project was of high quality, on time and within the estimate provided. 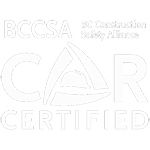 ‘‘B&B's attention to safety, and continual concern for the many environmental challenges has been greatly appreciated. 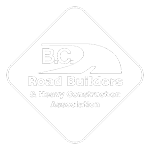 B&B Contracting have worked extremely well as a partner on the project, including the design engineers, Squamish First Nations, City of North Vancouver and ourselves to help ensure that the team can deliver a high-quality project within the time allotted and on budget. ‘‘Working with B&B Contracting proved to be very successful. Communication between the contractor and owner was open and embodied the spirit of partnering as set out in the contract agreement. B&B's management, supervision and field staff were experienced and professional and combined with the ability to coordinate subcontractors and suppliers were a significant partner in the overall success of this portion of the project. ‘‘To see the precise cooperation of machines and men and the excellent traffic control from that perspective was just marvelous and we were very impressed. Your crew completed the crossing in the Foster St / Thrift Ave intersection. We had a grandstand view from our 4th story window. To see the precise cooperation of machines and men and the excellent traffic control from that perspective was just marvelous and we were very impressed. Thank you for passing our comments to your crew - it is so important to say thank you to people when they do a good job.